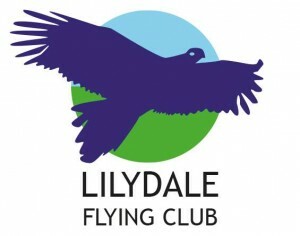 If you’ve made it here you’re hopefully interested in the Lilydale Flying Club. On top of that you may be interested in being part of the community, contributing to online discussion and social interaction which is one of the purposes of the Club. As a member of the LFC, you have the opportunity to discuss various topics, flying related and other, on this forum. Non members can read and see the forum, but unfortunately cannot participate fully in the discussion. Some of the topics are flying and aviation related, even going into specifics of models of planes and instrument use. There is also a more relaxed social area that is for off topic discussions and general Club chatter. To get started, you need to register for a forum account. Anyone can fill in the registration form, however only official members will be approved for registration. To complete the registration form, please go to the registration page. Once you have been approved you will have the ability to post topics in the various forums as well as reply to topics posted by other members. Posting a topic on the forum is easy. Simply click on the forum you wish to post in, if you are logged in you will see the add a topic form beneath the list of topics in the forum. If you wish to reply to a topic that already exists, click on the topic and beneath the topic details and any replies there will be a reply form you can fill out to post a reply. Think of Forums as categories of discussion, topics as specific conversations within a category and a reply being part of the back and forth conversation. As this is a community forum, please be mindful of being polite and non confrontational in the forums, discussion is encouraged but arguments are best taken offline if had at all.